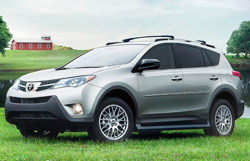 Enhance your Toyota ownership experience with Toyoguard Select or Toyoguard Elite in Florence, SC from Florence Toyota ‐ serving Myrtle Beach and Sumter ‐ and enjoy the feeling of Toyota security. With Toyoguard Select, drivers receive rental car assistance for their first five years or 60,000 miles of ownership ‐ whichever they reach first. Along with the assistance, they also receive a package of vehicle protectants, starting with Toyoguard exterior paint sealant, designed to maintain vehicle luster and prevent paint deterioration. The package also includes a Toyoguard interior protector, which offers unparalleled stain resistance for your seats and carpets, and a sample kit that includes interior detailer, exterior detailer, and tire shine with a microfiber cloth for application. Toyoguard Elite is ideal for drivers who want to extend the services of their ToyotaCare service package after it's expired, but with some additional features. 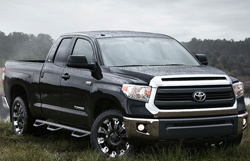 For continued vehicle maintenance, Toyoguard Elite includes bonus oil changes and tire rotations. As an added bonus, drivers have access to a personal assistance service that lets them access information like weather forecast, movie showtimes, and directory assistance. Both Toyoguard Select and Toyoguard Elite provide you with peace of mind, thanks to 24-hour roadside assistance that begins after ToyotaCare has expired and continues for 3 years or 60,000 miles, whichever comes first. Your roadside assistance covers battery jump starts, tire service, fuel delivery, lockout protection, winching, and towing.